Thelma & Louise is a 1991 American road movie directed by Ridley Scott starring Geena Davis and Susan Sarandon. It revolves around two girlfriends who rebel and drive off to the Grand Canyon on the run for the police. The film has been referenced in The Simpsons several times. 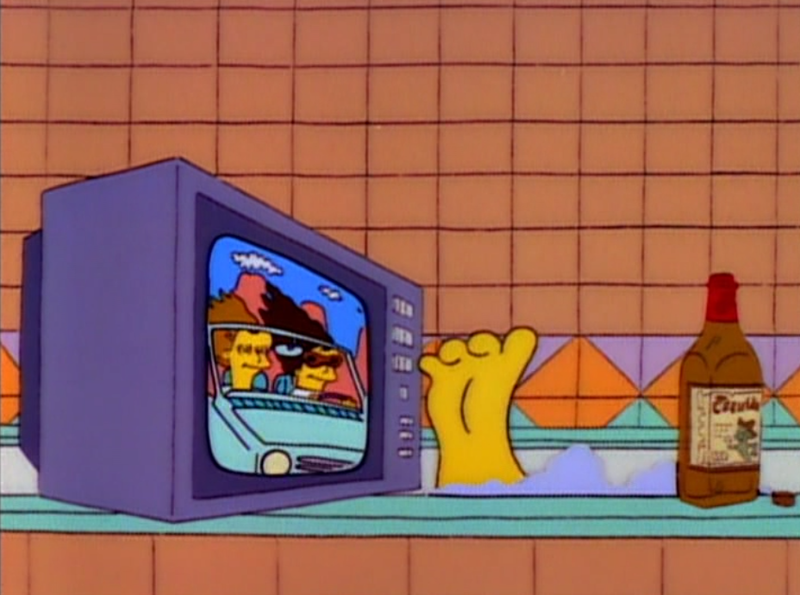 3 50 "Homer Alone" Marge watches the film from her bathtub on TV while she stays over at Rancho Relaxo. 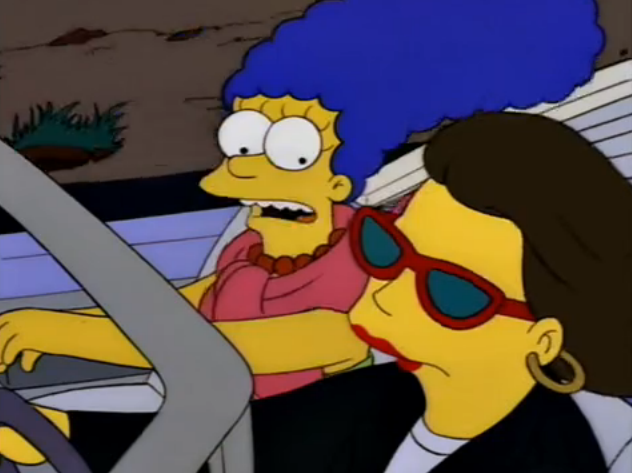 5 87 "Marge on the Lam" Marge and Ruth Powers become friends and eventually drive off in a car to escape from the law. The scene where Marge is intimidated by a group of men who tell her that they "always get what they want" is a direct parody, as is the scene where Marge has the opportunity to leave Ruth behind, but decides not to do so, because good friends stick together. The final scene where they head for a cliff is also lifted from the movie. In the comic book story Verti-Go-Areeno Moe references Thelma & Louise as the faux Maude escape the police. In The Marge Book one of Marge’s book titles is When Harry and Sally Met Thelma and Louise, which is a mish-mash of the movies When Harry Met Sally and Thelma and Louise. Susan Sarandon Portrayed Louise in Thelma and Louise. She voiced a Ballet teacher in the season 6 episode "Homer vs. Patty and Selma" and herself voicing feMac in the season 17 episode "Bart Has Two Mommies". Modified on March 1, 2019, at 22:06.